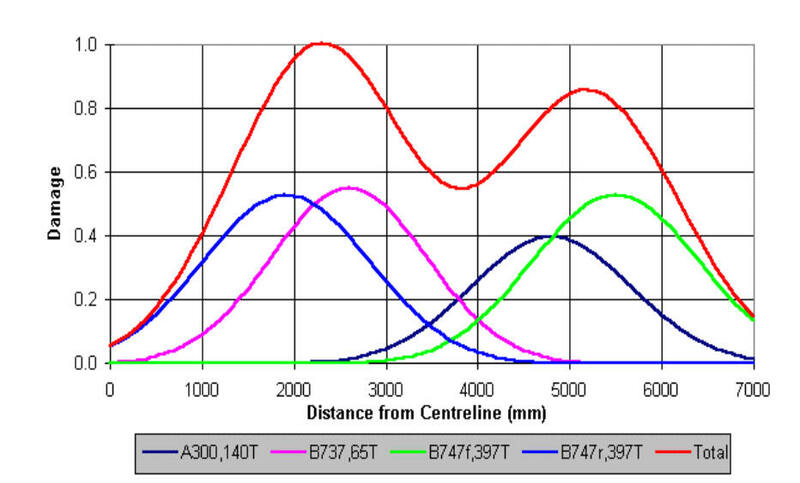 CIRCLY generates graphs that show the variation of the damage factor across the pavement. CIRCLY can also generate graphs of any component of displacement, strain or stress in two-dimensional or three-dimensional form. 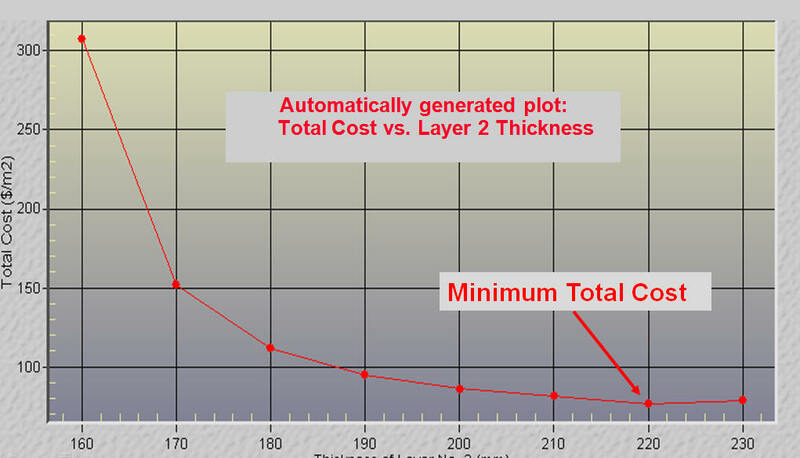 Automatically generated plot: Total Cost vs. Layer 2 Thickness. You are welcome to download and evaluate CIRCLY 7.0. There is only one version of CIRCLY 7.0 - and it can be used in Evaluation Mode. CIRCLY 7.0 will operate in Evaluation Mode unless you have a CIRCLY Annual Licence (typically using a Hardware Lock). You must use the Standard Material Properties provided with the Example Jobs or Workshop Exercises. See CIRCLY 7.0 Evaluation Mode Restrictions for a list of the Standard Material Properties. Please note: CIRCLY in Evaluation Mode is solely for demonstration or educational purposes and may not be used for commercial purposes of any kind. You must have a full licence to use the software for Commercial Projects. Click here to download CIRCLY 7.0.